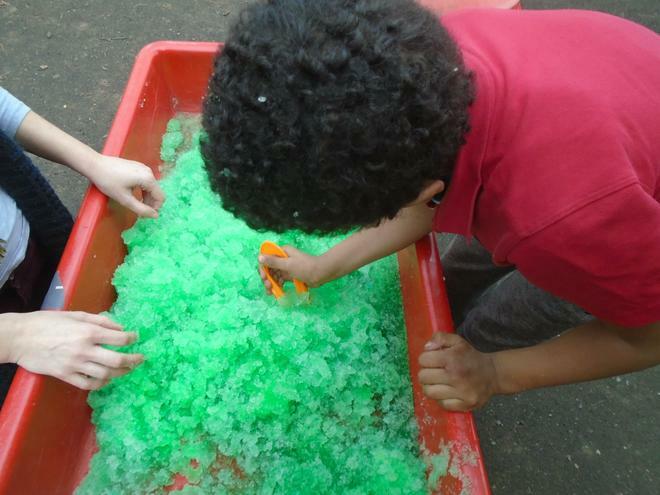 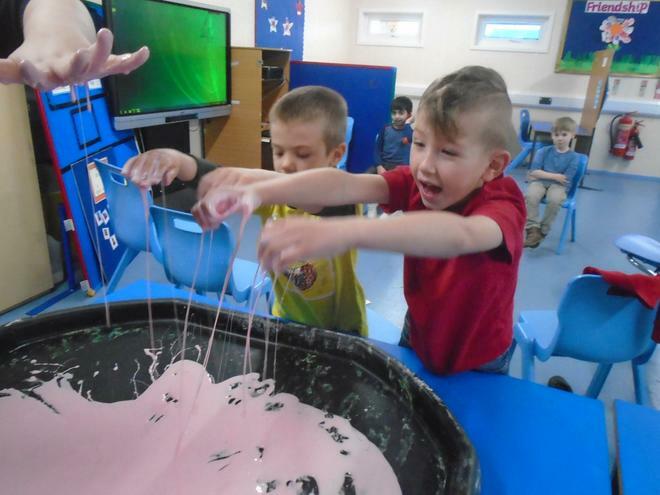 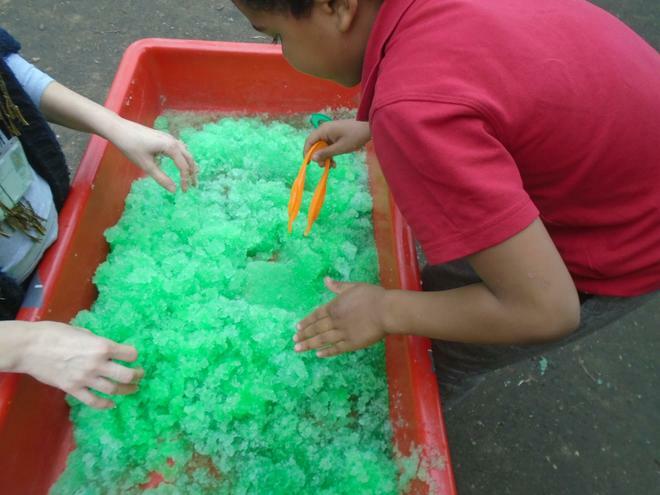 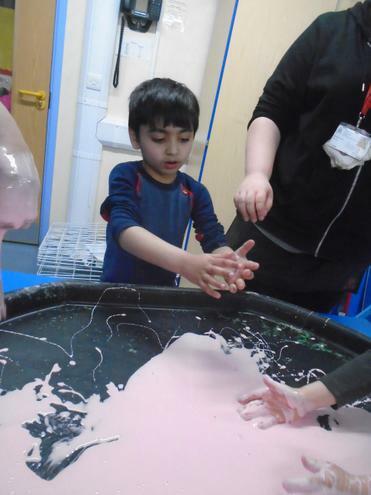 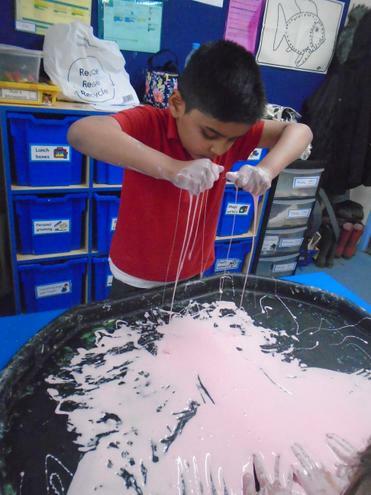 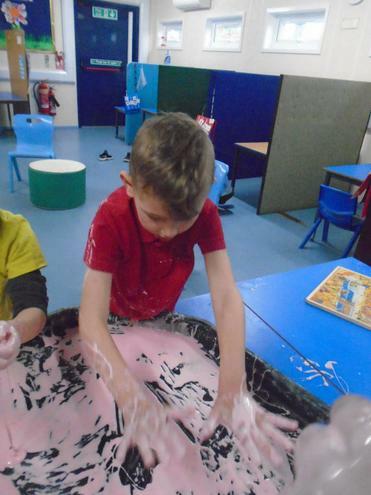 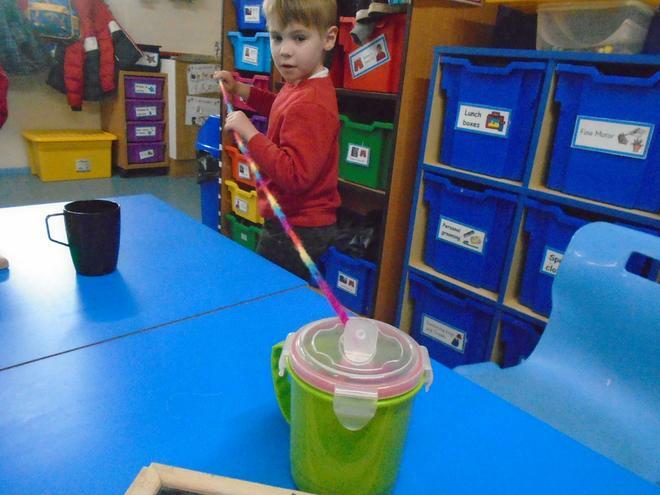 Our themes for Term 4 have been 'Bend and Stretch', where we have been looking at different materials and if we can stretch them (we used cornflour for one of our experiments) or bend them. 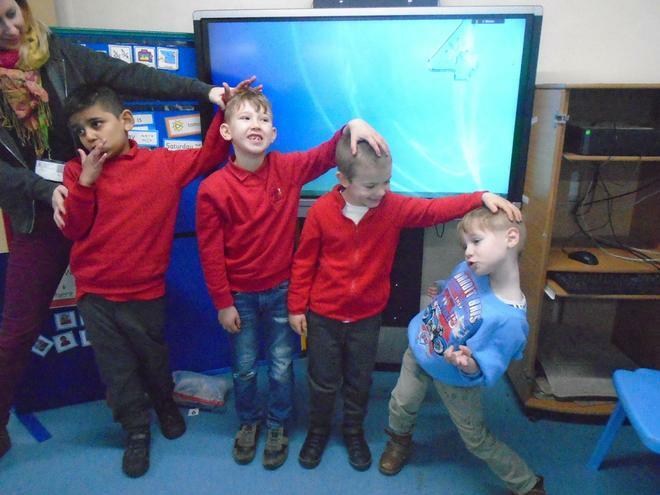 We looked to see if our bodies would bend and stretch on the outdoor apparatus and we looked at who was tallest and who was smallest in the class. 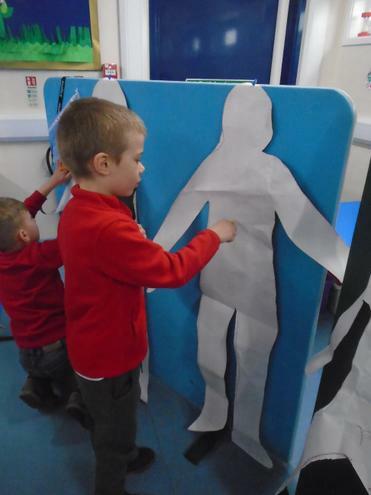 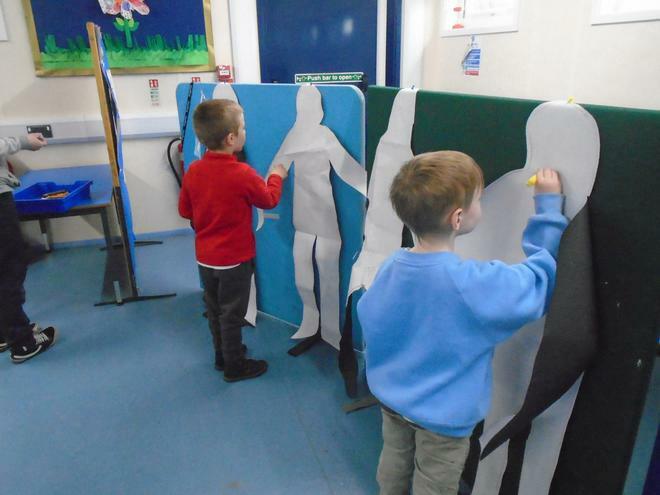 We also drew around our bodies and then coloured them in. 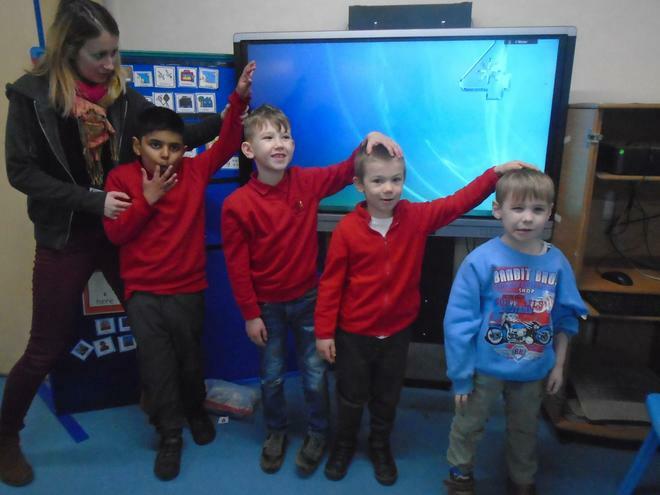 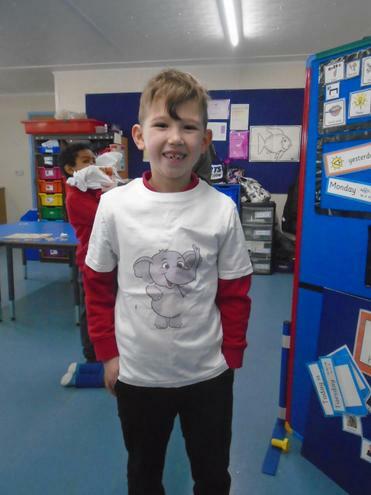 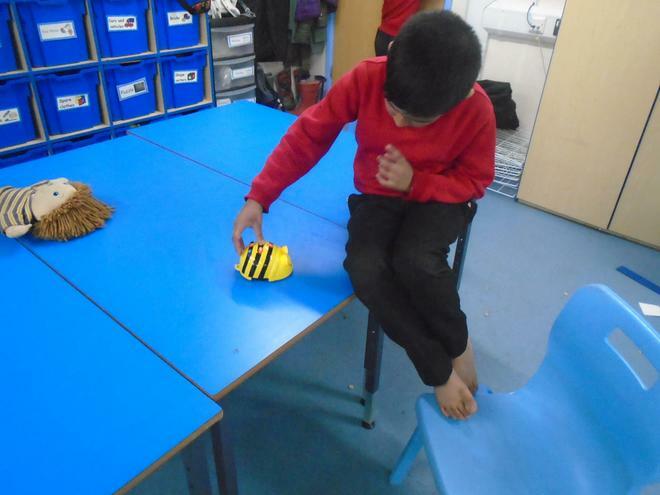 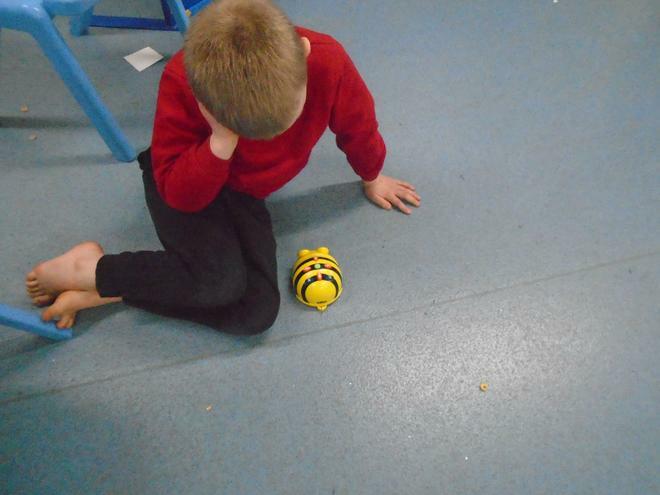 We have been looking at Robots and programming the BeeBots to follow our instructions, we've also made some paper Robots which you will see in our Special Books at the end of the year! 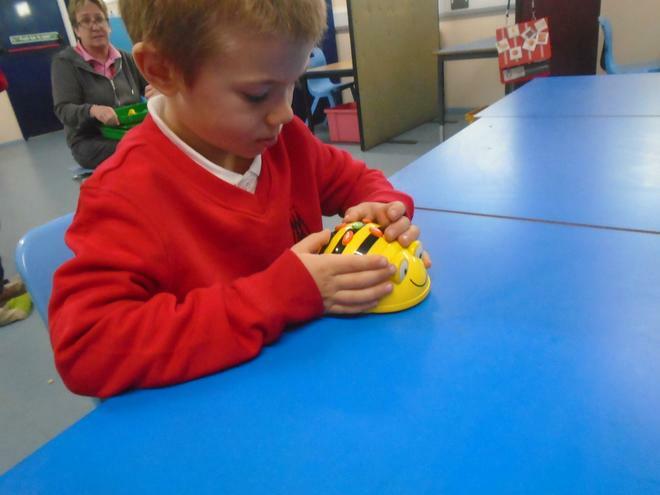 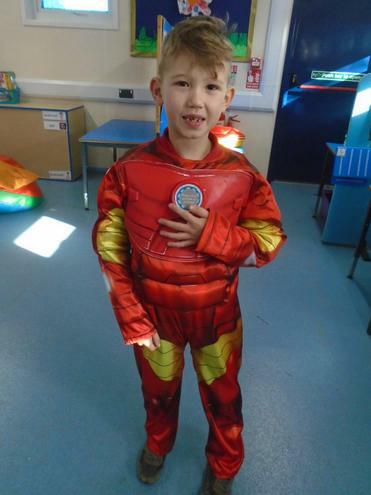 We are building our own Robots out of construction kit and we will add the photos for that at the end of term. 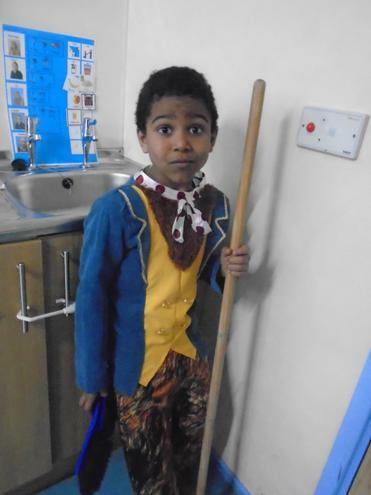 We've also had a fantastic show, Thank you so much to the family and friends that came to watch us! 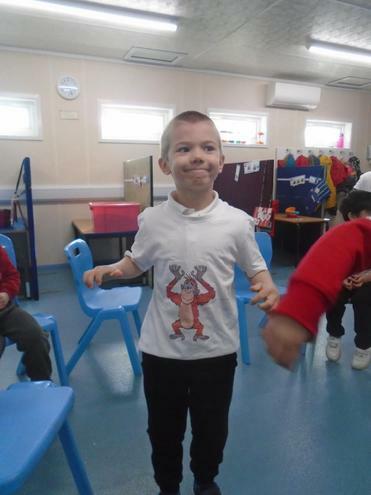 We had so much fun and we all did amazing singing and dancing! 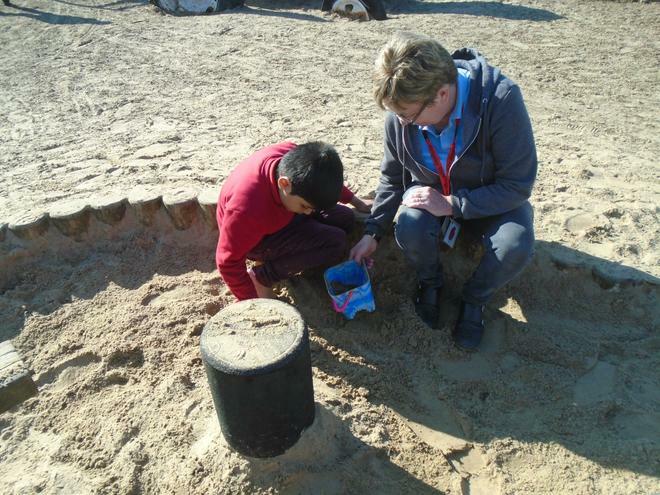 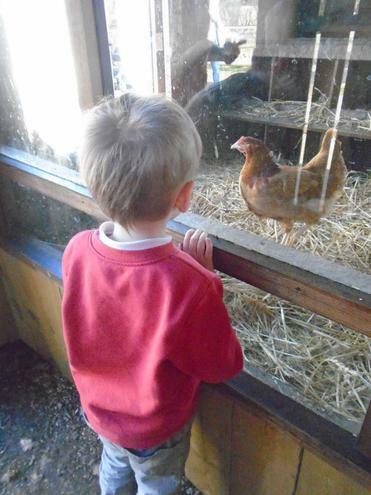 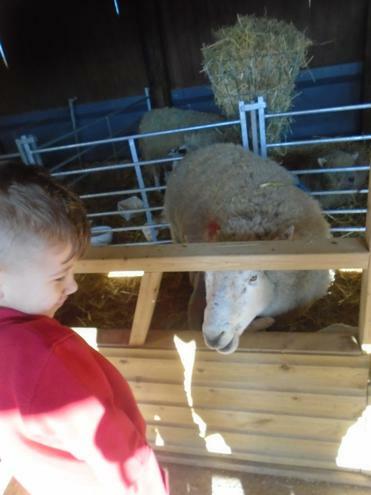 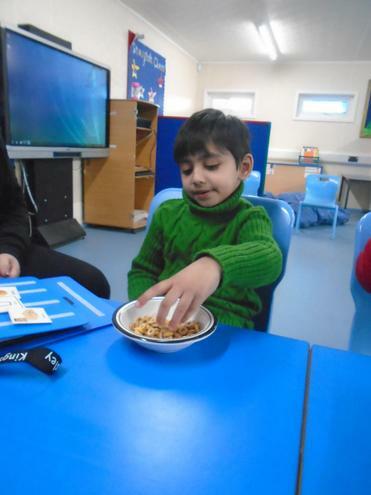 Starfish enjoyed a trip out to West Lodge Farm with Jellyfish! 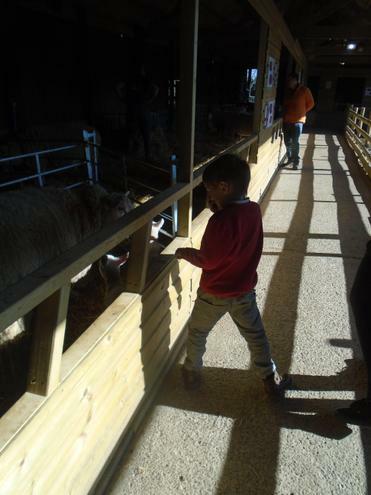 Farmer James showed us around and introduced us to all the animals. 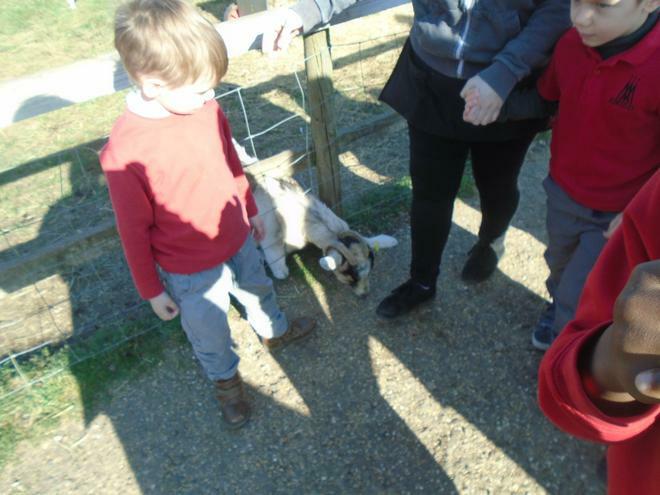 We saw sheep, lambs, pigs, chickens, Geese (Colette was a bit scared of the Geese and hid behind Rachael ) rabbits, Guinea Pigs and lots more. 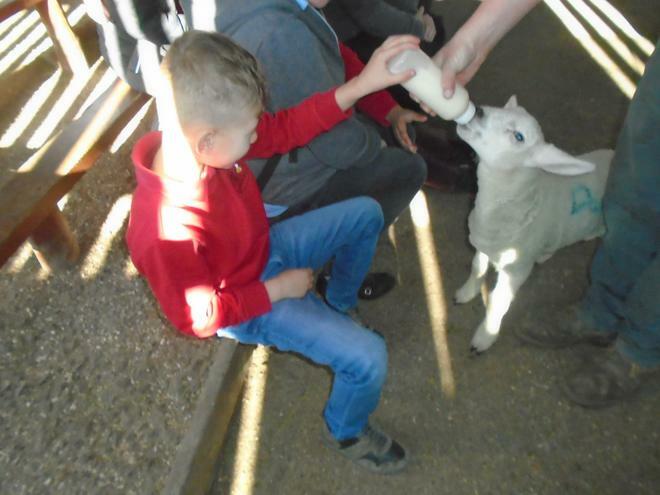 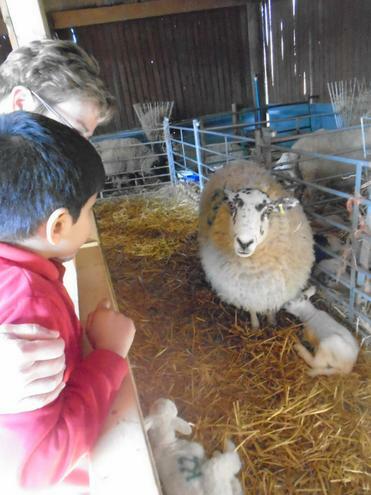 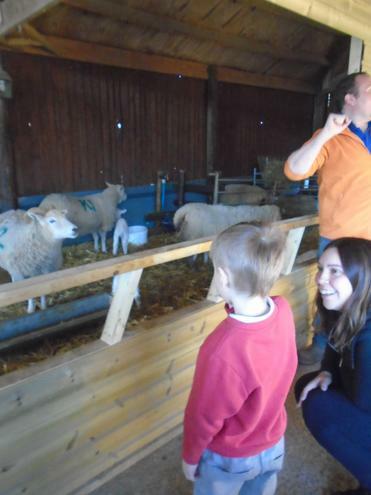 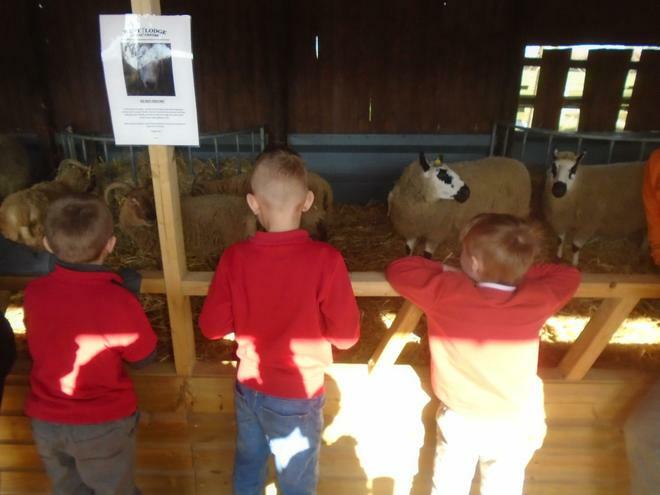 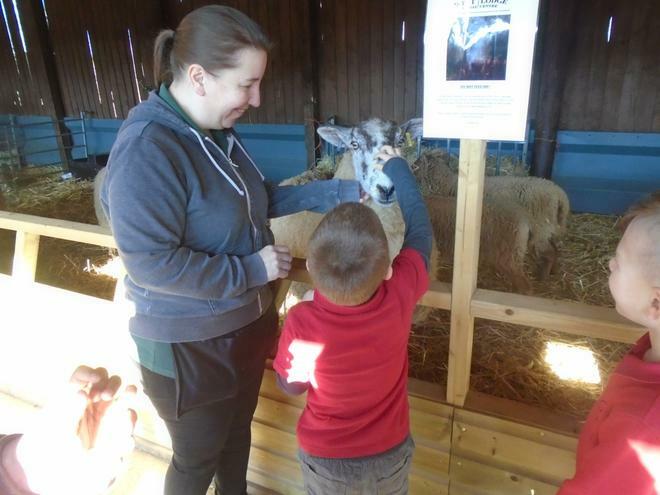 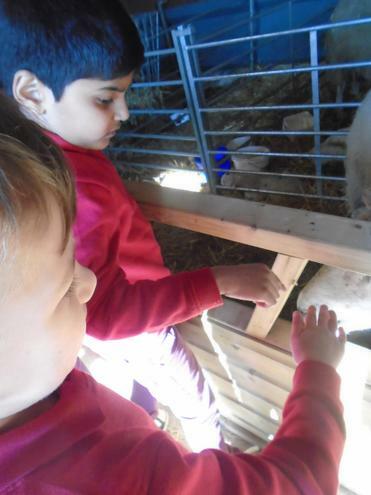 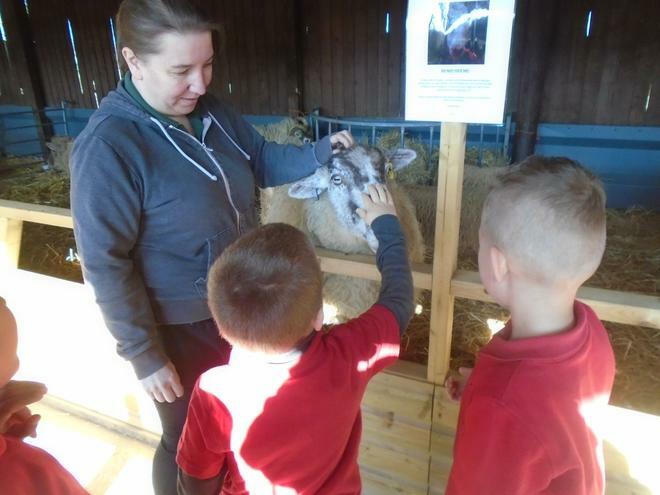 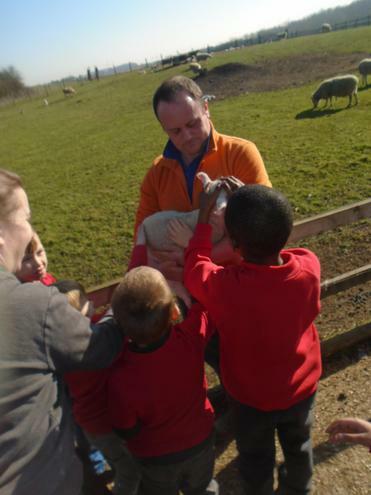 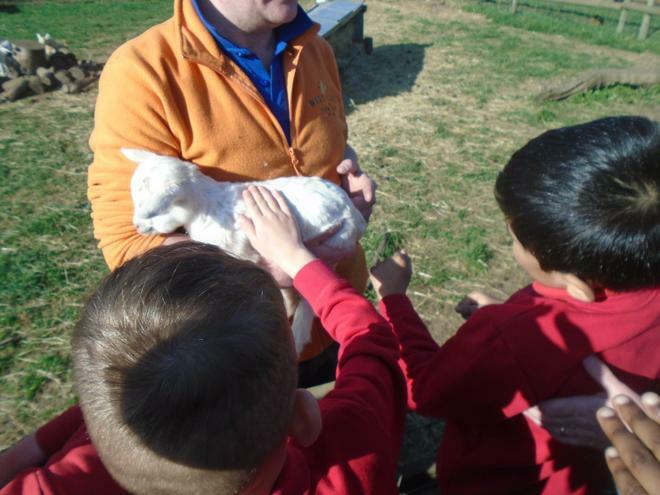 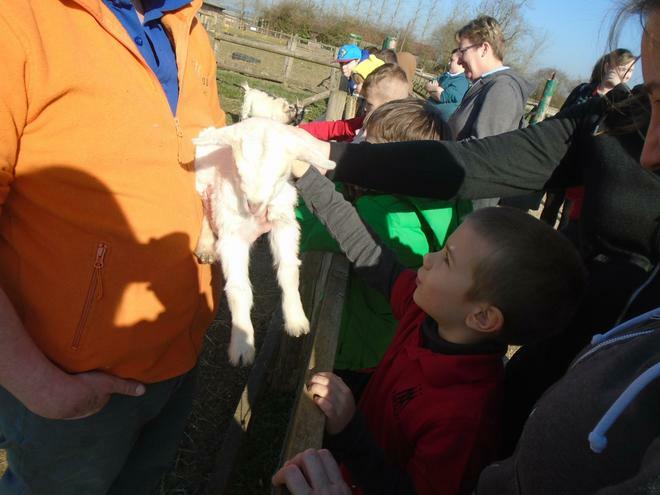 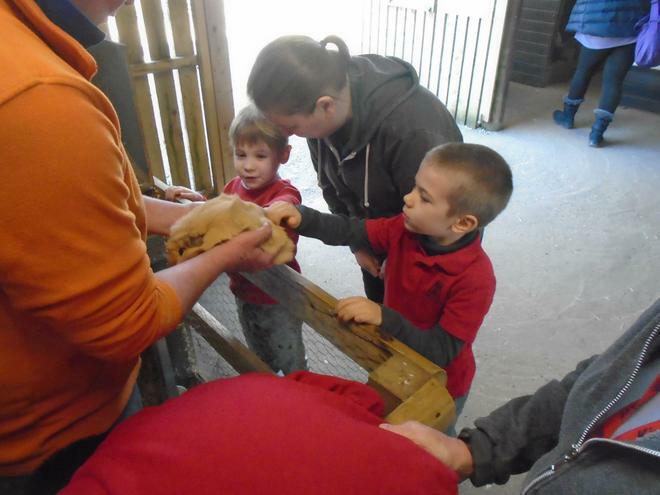 We even got to feed a lamb with a bottle of milk! 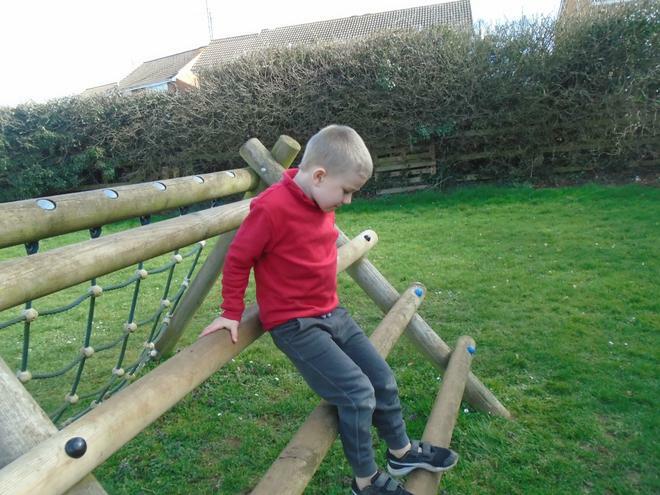 We enjoyed a picnic and a play on the park, then went on the barrel ride. 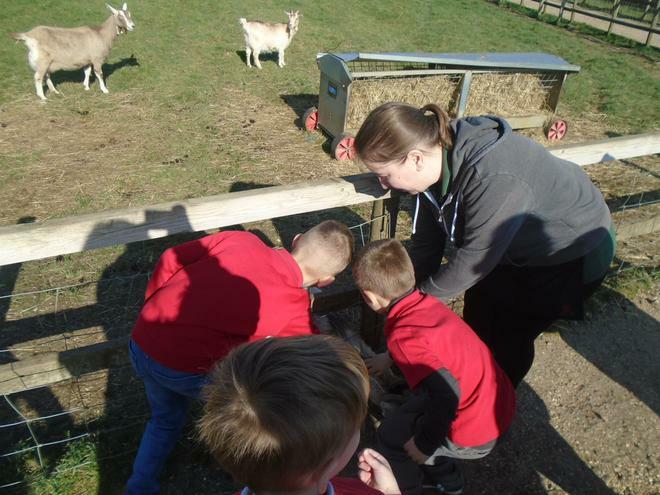 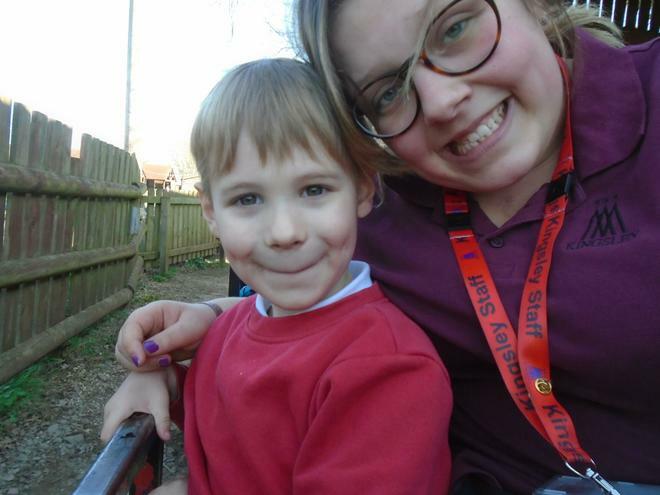 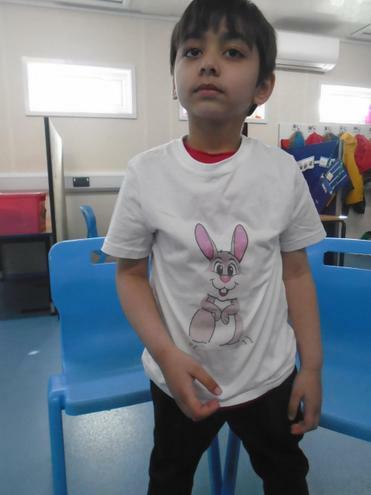 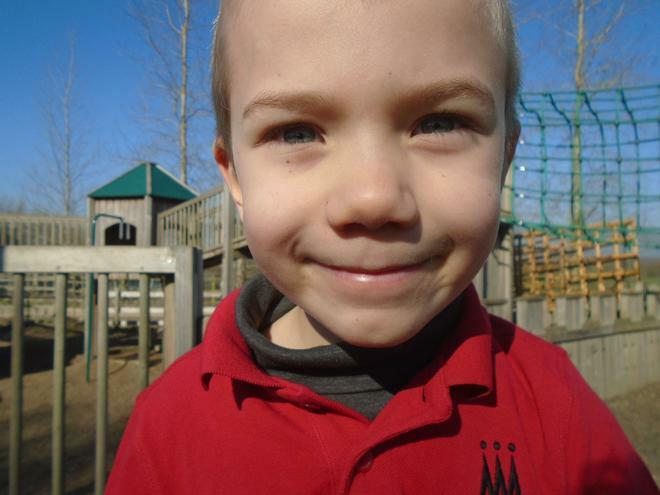 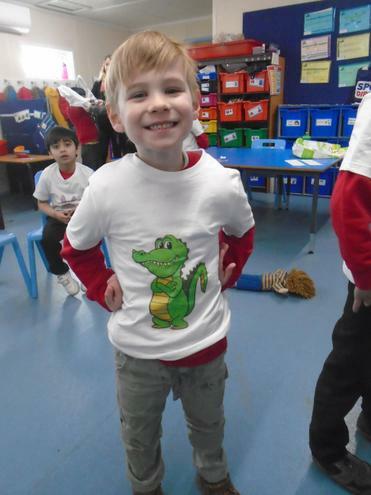 The sun came out for the day and we all had a fantastic time!